Don’t ever pick a snow fight with a Swede! After the Knut finished school we went over to a friends house to bring her kids over to our house for a playdate. The street they live on is very narrow and has a lot of turns so you have to drive very carefully so you don’t hit a kid or a pedestrian walking their dog. Today you had to take it extra slow because the roads were very slippery and as I’m coming close to a car that is parked on the side of the street five or six boys jumps out from behind it and start throwing snowball at mine. The kids started screaming in the backseat “They threw snowballs at us”and just as I am doing a right turn the car starts skidding sideways and now they are super thrilled. I asked the kids if we should give it to them and they all went “YEEEEEES!” so I turned the car around and the boys started to run and trying to hide not knowing what to expect. I jump out of the car and start throwing snowballs back at them and we had a full on snow fight for a few minutes. 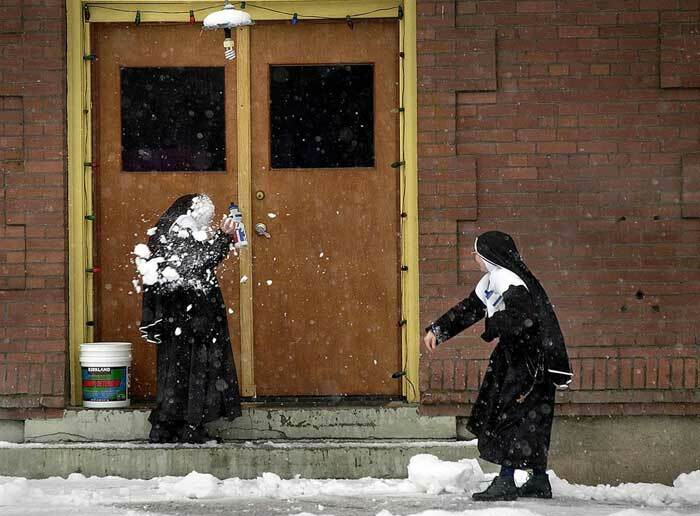 I am pretty sure they never ever had a middle-aged unknown woman bombard them with snowballs before. Getting back in the car we were all laughing and I had to catch my breath because running in the snow and throwing snowballs it is like an interval training on its on…haha! This entry was posted in General and tagged family, fitness, Fun, healthy-living, inspiration, Interval training, kids, motivation, playdate, Snow, snow fight, Snowball fight, weight loss, wellness by Malin. Bookmark the permalink.